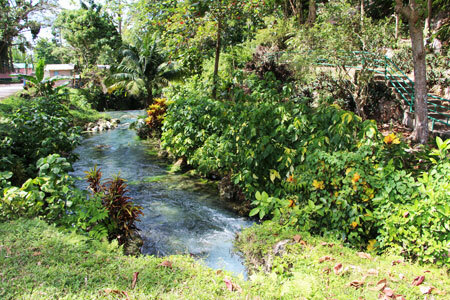 Roaring River Park is a heritage and nature park near Petersfield, Westmoreland Parish, Jamaica. Roaring River is at Shrewsbury Estate, about 2km north of the main crossroads in Petersfield (8km northeast of Savanna-la-Mar). A former slave plantation, the Roaring River Estate near Petersfield in Westmoreland is named for the gushing waters of the river. Its history is rooted in the sugar industry of the colonial era, beginning in the late 17th century. It was owned by the Beckfords of Gloucestershire, one of the first English families to settle in Jamaica after the island was won from the Spanish. ​​There are two sources of the Roaring River. Once source of water gushes from and old aqueduct while the other is a Blue Hole where the up-welling of water flows down to meet the other source in a confluence at a 300-year-old Cottonwood tree. Part of the subterranean flow of this river passes through Karst limestone caverns snaking through a rock formation across the river from that tree. A footpath ascends up this rock outcropping to a locked iron gate at the top of the path. 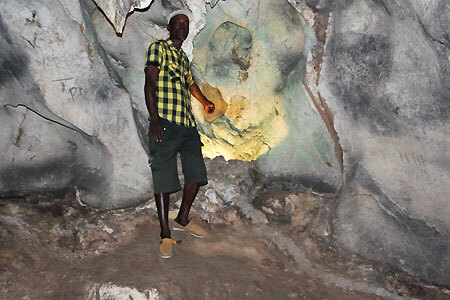 Residents of the area have the key and provide guided tours. 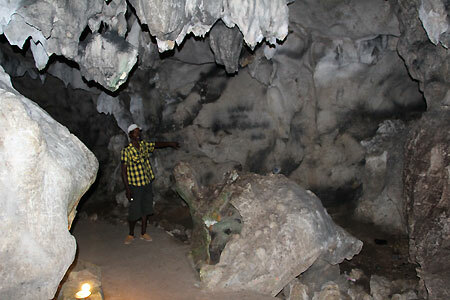 The cathedral-like caverns are quite large with a small amount of electrical light place conveniently out of sight providing a wonderful ambiance. Smaller pools and caverns branch off along the way requiring a small bit of stooping to avoid the overhanging formations. 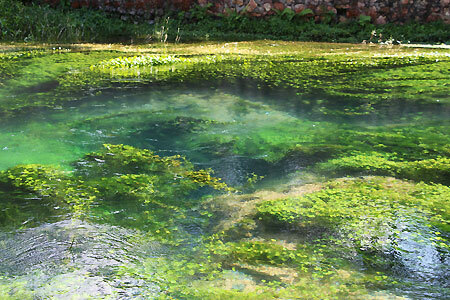 Be sure to bring a bathing suit and a towel, as the water is very clean and loaded with healing minerals. Dr. Scott, a Massage Therapist and Healer can be hired as a guide if you ask for him. 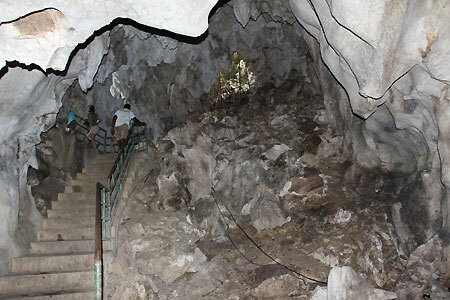 ​During the Winter Months, a Mento-like band plays songs in the caverns for your entertainment. The percussion is provided by striking pieces of bamboo with a stick and by cleverly playing a set of stalactites like a xylophone. A tip for their services is requested after the music is played. 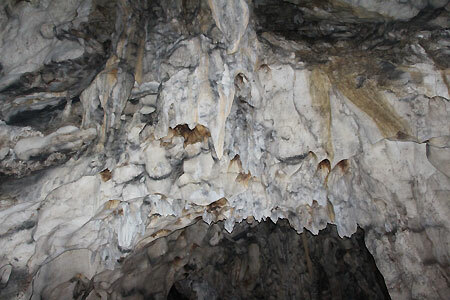 All along the passages, the guide points out, with his flashlight, shapes and textures in the walls and on the ceiling that through suggestion become recognizable animals and people.